Another surprise discovery in my endless quest for Bay Area Peaks was this 2031 foot summit high above the rocky cliffs of Stags Leap (famous as a Napa wine appellation ). The peak was listed as having over 500 feet of prominence, but it took quite a bit of scouring about on Google to find a way up. It turns out that there’s a well-used trail off Soda Canyon Road, that had been featured in a Napa Adventure video. It was a rainy afternoon when I set out explore my new discovery. 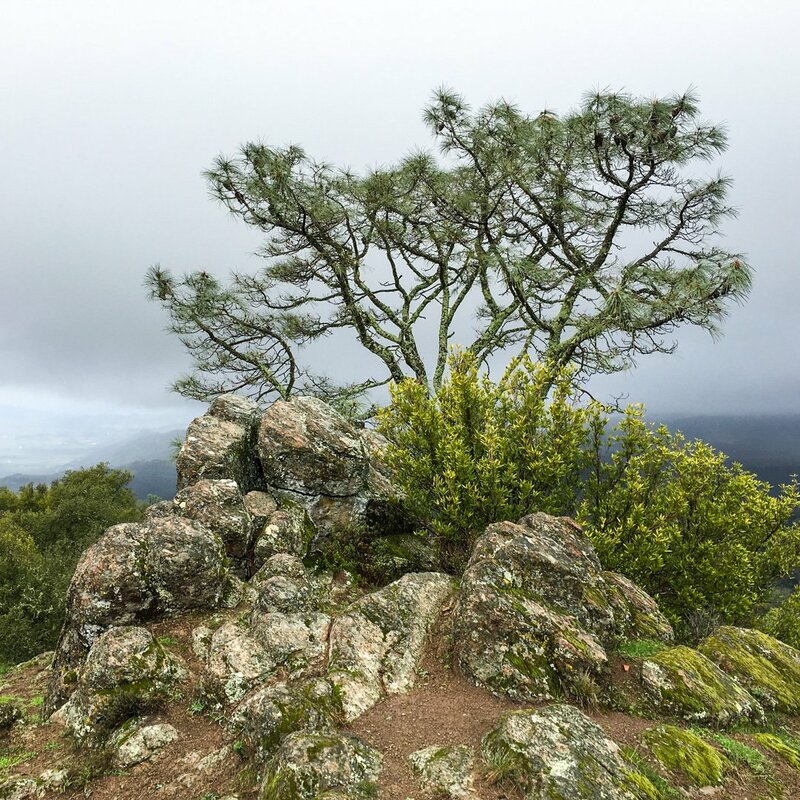 The well groomed, slightly muddy trail switchbacked up though manzanita and bay trees, and emerged on a rock (and foggy summit) with marvelous views directly down across the Napa vineyards.